We are ranked as the topmost manufacturer, instrumental in offering a wide array of Metering Panel to our esteemed customers. This product is easy to operate. E.B metering panel is used for domestic use .Required Amps breakers are used customer scope and design of based on customers requirement. 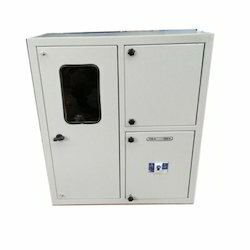 We have attained wide reputation in the market by developing best quality LT CT Metering Panel. •Power Consumption: The active and apparent power consumption, in each voltage circuit, at reference voltage, reference temperature and reference frequency shall not exceed 1. 5 W and 8 VA. The apparent power taken by each current circuit, at basic current, reference frequency and reference temperature shall not exceed 1.0 VA.
•Design: Meter shall be designed with application specific integrated circuit (ASIC) or micro controller; shall have no moving part; electronic components shall be assembled on printed circuit board using surface mounting technology; factory calibration using high accuracy (0.05 class) software based test bench. Assembly of electronic components shall be as per ANSI /IPCA-610 standard. We are manufacturing Double Busbar Panel for industrial and textiles. Configuration: Fixed & Draw out. 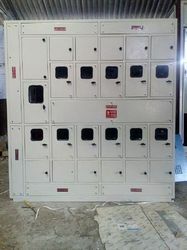 - 33kv /11kv HT metering Panel for tariff metering is designed as per IEC standards & Nigerian specification of local statutory authorities. - 415V LT Metering Panel for tariff metering is designed as per IEC standards & Nigerian specification of local statutory authorities. 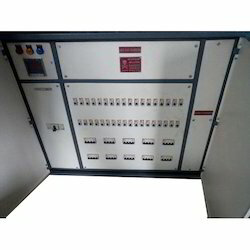 - Metering Panel is designed for all types of CT current ratio. - Easy access for connecting inward & outward cable, easy to install, operate & maintenance at the site. 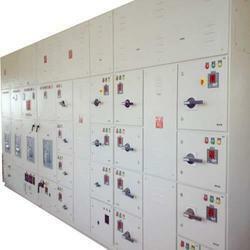 We are offering a wide range of Meter Panel. • Magnum three phase metering panels are reliable measurement devices for domestic, industrial and agricultural installations. 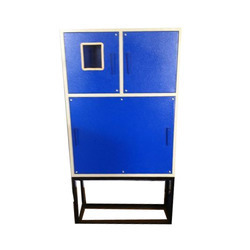 We are Manufacture of Meter Panel Board that is made from quality tested materials and component. We have complete allegiance in developing highly demanded EB Metering Panel.